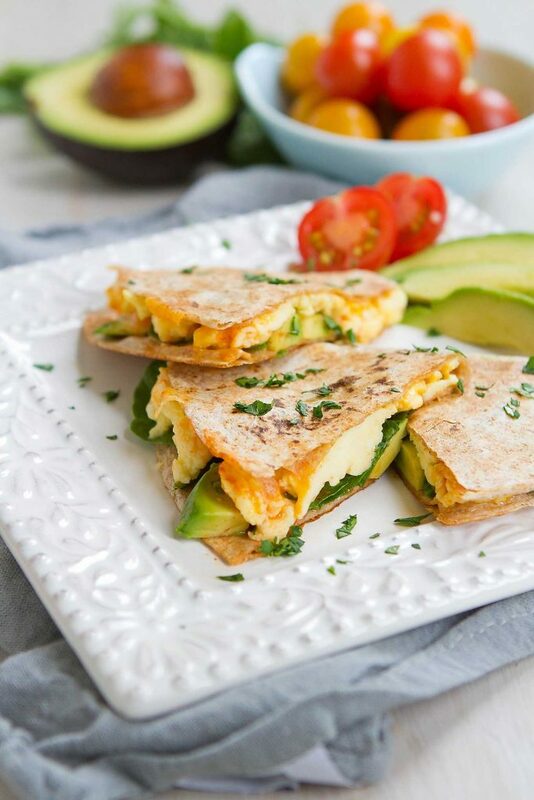 Kick off your day with a Spinach Avocado Breakfast Quesadilla. High on protein and filled with flavor! Thank you to the California Avocado Commission for helping me share this recipe with you. When it comes to my breakfast and dinner choices, I’m a study in opposites. When it comes to dinner, “variety” is my middle name. Rice noodles on one day, roasted salmon the next night and vegetarian chili the night after that. But when it comes to breakfast, I turn into my most cantankerous self if I inadvertently run out of the ingredients for my favorite breakfast. The “favorite breakfast” changes depending on the season, but sticks around for a month or two before I move off to the next idea. When fresh blueberries and raspberries appear in the summertime, I crave nothing but yogurt parfaits. But right now, I have eyes only for fried eggs with avocado and hot sauce. Just the thought of it makes me want to hop into the kitchen to make a second batch for lunch! This spinach and avocado breakfast quesadilla, complete with a few shakes of my favorite hot sauce, is an ode to my breakfast of the moment. While this recipe is quick and easy enough to pull of on a weekday morning, I’ve decided it’s going to be my family’s weekend brunch tradition as long as California avocados are in season. That means we get to enjoy these quesadillas throughout the spring and summer every year. Racking up extra mum/wife points for that call! The beauty of quesadillas is that you can switch things up depending on the ingredients you have on idea. Don’t have Cheddar? No problem – try some feta or smoked Gouda instead. Want to go gluten free? Sub corn tortillas for the wheat ones in this recipe. But the one thing I won’t relinquish is the avocado. There’s just something about the creamy texture, paired with the softly scrambled eggs and slightly crispy, golden brown tortillas, that just works. When we make quesadillas, we set up an assembly line to make everything go as smoothly as possible. Prep everything first – scramble the eggs, grate the cheese, slice the avocado – then assemble each quesadilla once the skillet is hot. We often serve the quesadillas as soon as they come out of the pan, but if you prefer to serve them all at once, keep the finished ones in a warm oven. In a medium-sized bowl, whisk together the eggs, egg whites and water. Set a large skillet over medium heat. Coat with cooking spray. Pour the egg mixture into the skillet. Cook, scraping the pan occasionally, until the eggs are scrambled and just set. Season with salt and pepper. Heat a medium-sized skillet over medium-high heat. 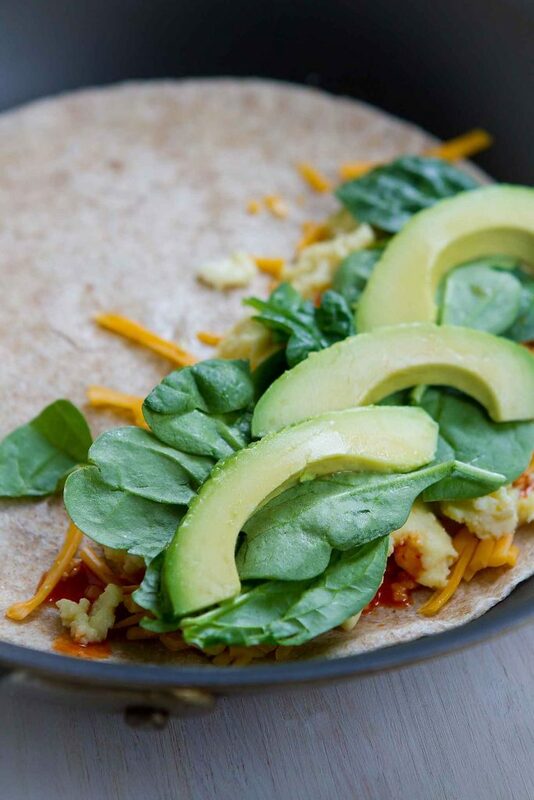 Place 1 tortilla in the pan and top half of the tortilla with ¼ each of the cheese, scrambled eggs, hot sauce (several good shakes), California avocado and spinach. Fold over the other side of the tortilla to form a half-circle. Press down with a spatula as the cheese melts to seal the quesadilla. When the bottom is golden brown, flip the quesadilla and brown on the other side. Remove the quesadilla from the pan, cut into thirds and garnish with parsley, if desired. Serve. Repeat with the remaining tortillas, cheese, scrambled eggs, hot sauce, avocado and spinach. Disclosure: This post is part of an ambassadorship with California Avocados. All opinions are my own. This post contains links to my Amazon affiliate page. Any revenue made from sales through these links helps to support this blog. Thank you! You make breakfast look beautiful. I love avocados with my eggs and cheese! You took one of my favorite foods and turned it into breakfast. What a brilliant, delicious way to start the day! What a fantastic way to start the day! Breakfast quesadillas? YES. With all that avocado goodness? MAJOR YES. Can’t wait to try these! We love quesadillas!! It’s such a great way to encourage the kids to eat and sometimes hide some goodness inside 🙂 These look so delicious! Such a great way to start the day! Quesadillas always go over well in our house because everyone can customize their own. We love breakfast burritos. 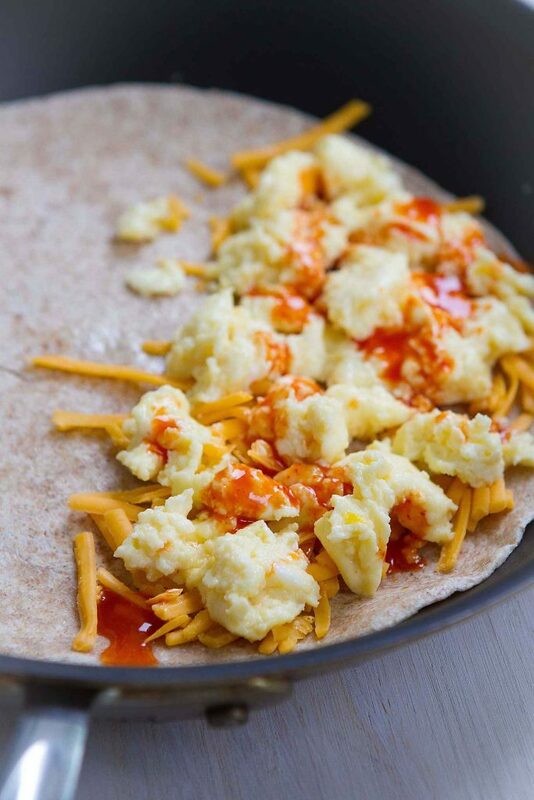 Why have I never thought of a breakfast quesadilla?!?! I absolutely love this idea! I’m going to have to make them ASAP! 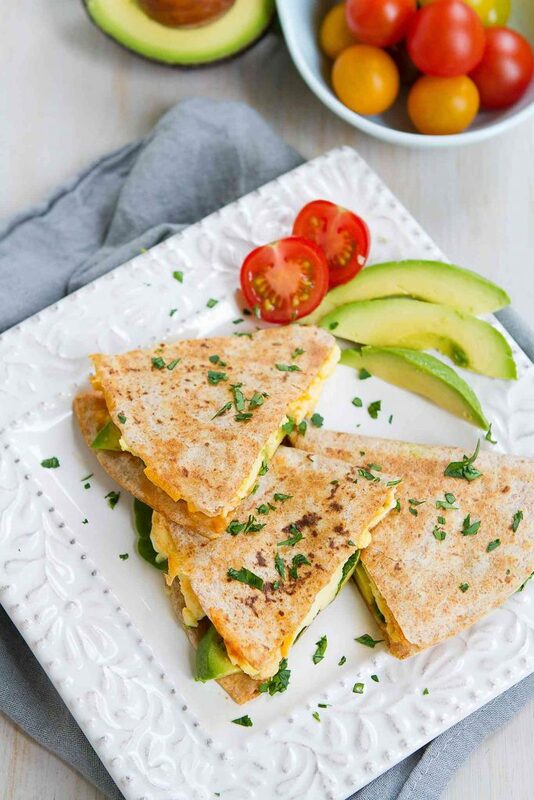 We love quesadillas, so I have to try this breakfast version — love the avocados in it! This is such a good breakfast – I love the flavors and I have a thing for eggs + avocado! This is absolute perfection. I love quesadillas so having them for breakfast would be the perfect way to start the day. Amazing!! I would love this for breakfast!! Oh my gosh this is a good reminder I need to up my breakfast game! Made this yesterday for breakfast and we loved it! Super easy and delicious. Fantastic, Rachel! This is a regular around our house. I am such an avocado fan; would love this for breakfast!